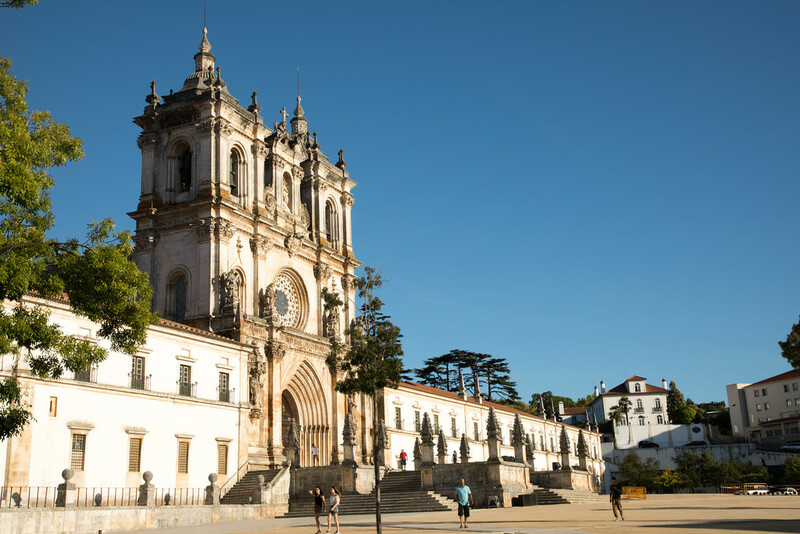 Much as I love admiring the view from our home, sometimes it’s fun to go out exploring, and after mentioning it I don’t know how many times to Jon that we should visit the old town of Alcobaça, Portugal he finally got the hint. Anyway, just an hour north of Lisbon, Alcobaça is a lovely old place to visit. It dates back to the early 12th century and is a charming little place with a historic old town and a castle on the hill. It’s famous for its huge monastery that dominates the town, and it’s an incredibly beautiful and a cool place to explore. 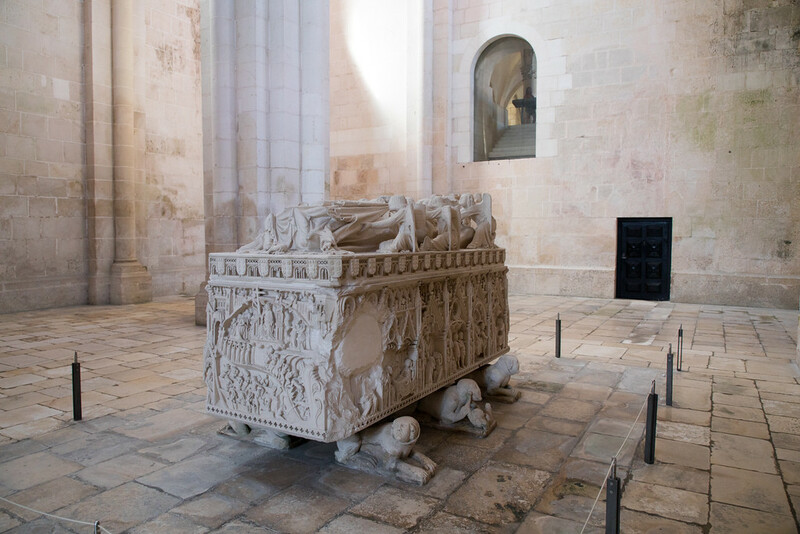 Inside the monastery, you will find two richly decorated tombs belonging to King Dom Pedro and his murdered mistress Dona Inês. The story of Pedro and Inês is sad and tragic as all good love stories seem to be. So here’s the tale: Pedro was forced to marry Constance, the Princess of Castille who died shortly after they were married. After her death, Pedro ran away with Inêz, his true love, to Coimbra. His father King Alfonso IV was not happy with this and ordered Inês to be killed. However, Pedro told his father that he had already married Inês in a secret ceremony and had her body exhumed. He then placed a crown on her embalmed corpse and insisted that all the courtiers kneel before her and kiss her decomposing hand. How lovely! 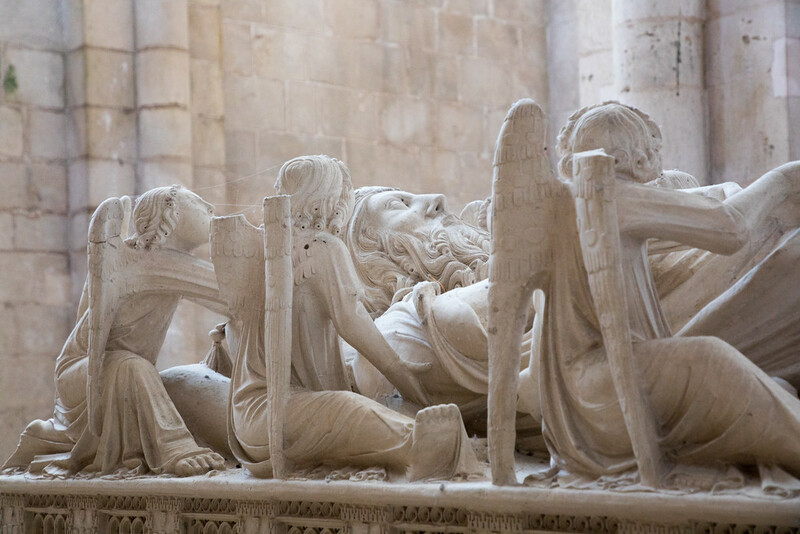 Today, their tombs face each other so that on Judgement Day, their first sight would be of each other.